SYRACUSE, UT - Is Onions 52 a year old—or forty? Last year, Utah Onions, Inc. completed a transformative rebrand—complete with a new name, logo, a newly launched website, and complete brand overhaul. And the company is now experiencing a Renaissance (pun intended), according to CEO Bob Meek; Onions 52 has excelled in all areas, with the company’s rebranding and marketing efforts at the helm of it all. 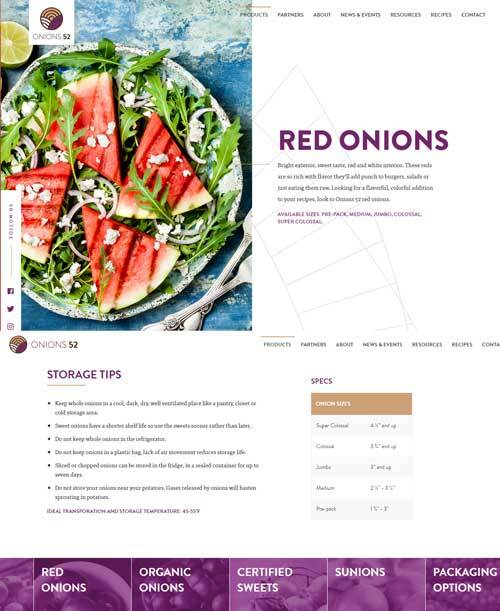 The newly-launched Onions 52 website also has an impressive list of creative upgrades targeted at both end consumers and the trade. Congratulations, from the ANUK crew, on a year of well-deserved success—and many more to come.